Please enjoy our November newsletter! 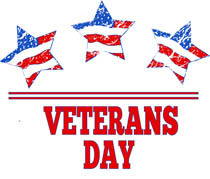 Remember, to show your appreciation to our veterans as November we celebrate and honor them in appreciation for our freedom that we have been given for their sacrifices and services. November is the also gateway for holiday celebrations, shopping trips or splurges, baked goodies and indulgences along with family celebrations. Have fun and enjoy the treasures around you as you make new memories to cherish for years to come.